Are your visible signs of aging keeping you from loving what you see in the mirror? At Artisan’s Rejuvenation Spa, our BOTOX® injection treatments can help you relax fine lines, wrinkles, and visible signs of aging to refresh and revitalize your appearance. Located in College Station, Texas, our medical team at Artisan’s Rejuvenation Spa is led by Dr. Ricardo Pocurull. Contact us today to schedule a consultation and find out how BOTOX® can erase signs of aging from your profile. The purified protein solution in BOTOX® is injected into strategic points around treated areas for accurate, natural-looking results. It has a proven safety profile for patients who have no contraindicating medical conditions, and our medical team at Artisan’s Rejuvenation Spa is expertly trained in this treatment. While major side effects are rare, slight bruising, swelling, and redness is common at injection sites. These should subside within a day or so. Treated areas may also feel sore afterward, but patients are often advised to avoid rubbing or massaging these areas so that BOTOX® does not spread to other parts of the face. During your consultation with our medical team at Artisan’s Rejuvenation Spa, we will evaluate several factors such as your overall health, medical history, treatment expectations, and individual condition to determine if this injectable is the best course of treatment for you. Men and women who have medical conditions that affect the nerves or muscles may require further evaluation before treatment is approved. 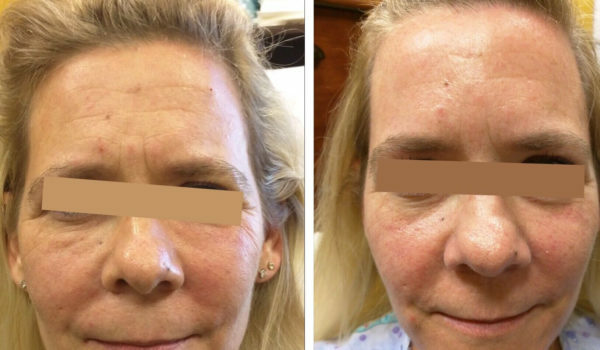 Results may vary, but most patients experience smoother, younger-looking skin for anywhere from four to six months, depending on the individual. While visible signs of aging may return after the protein solution is absorbed by the body, regular treatment plus a good skincare regimen can help maintain your results for the long term. Schedule a consultation and find out how BOTOX® can relax, refresh, and erase years from your facial profile.